Highly anticipated rom-com "Crazy Rich Asians" -- the first Hollywood film with a mainly Asian cast in a generation -- dazzled North America in its debut weekend, topping the box office, industry data showed Monday. The Warner Bros. adaptation of Kevin Kwan's best-selling novel of the same name has taken $35.3 million since hitting theaters on Wednesday, box office tracker Exhibitor Relations said. Of that total, the film took in $26.5 million at the weekend. 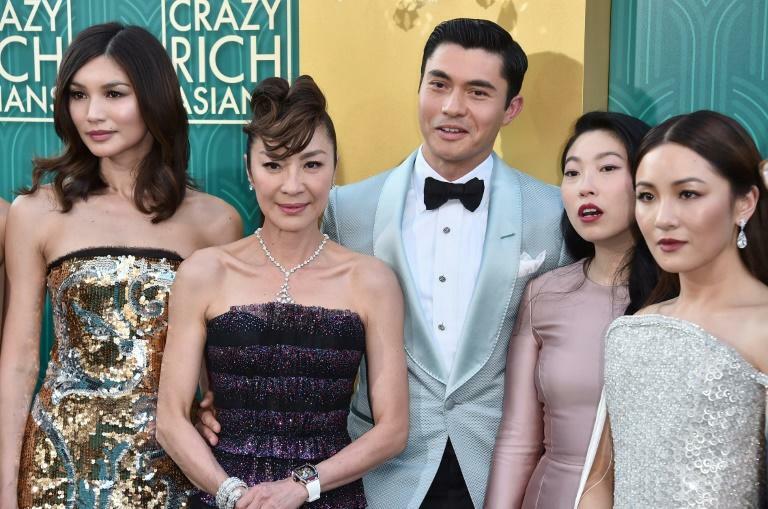 Starring veteran actress Michelle Yeoh, British-Malaysian former BBC host Henry Golding and American sitcom star Constance Wu, the film tells the story of a American economics professor who meets her super-wealthy boyfriend's family in Singapore. It is the first major studio release with a predominantly Asian cast since "The Joy Luck Club" in 1993. Shark thriller "The Meg" tumbled to the runner-up spot in its second week, taking $21.2 million. It stars action movie regular Jason Statham as a rescue diver who tries to save scientists trapped in a submarine from a huge, prehistoric shark. "Mile 22" -- a new spy action thriller starring Mark Wahlberg -- opened in third place at $13.7 million. Summer blockbuster "Mission: Impossible - Fallout" came in fourth with $10.8 million, bringing Tom Cruise's latest all-action vehicle to a domestic total of $181 million in four weeks. Close behind was another debut film, prehistoric adventure tale "Alpha," which took $10.4 million. US actor Kevin Spacey's latest movie, crime drama "Billionaire Boys Club," took just $618 as it opened to dire reviews in a handful of theaters across the country.